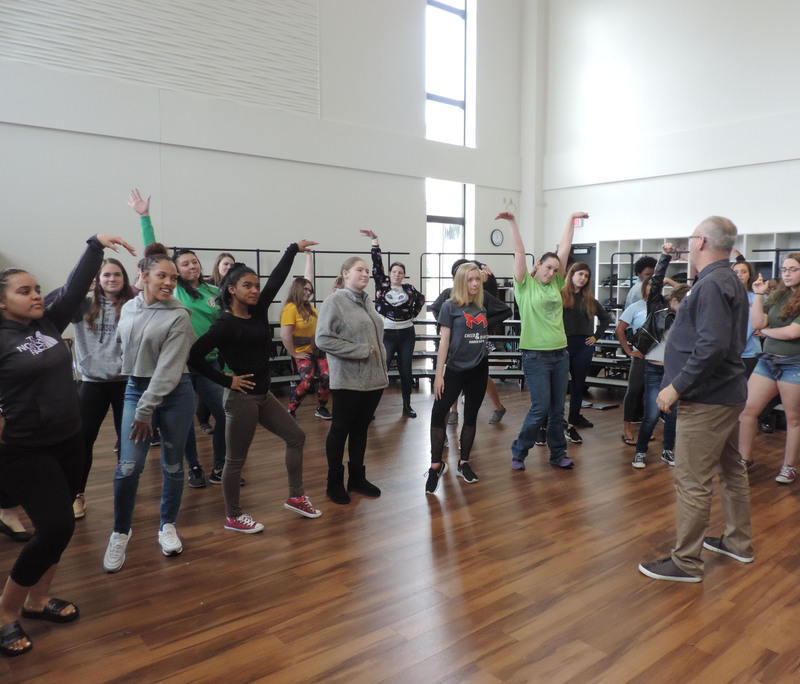 Choir teacher Brian Reeves directs a group of students as they prepare for this years spring concert. Parkway North has many different special traditions among all their departments. For choir, the spring concert, which will be held in the big gym on May 2 at 7 p.m. this year, is one of those special traditions. This tradition is not just special for the choir as a whole, but specifically the seniors. “It is special because, of course, it is their last performance in high school. But added to that is the commitment required to get to that point. There are tons of incredible courses kids can take at North. These seniors spent four years singing, making others around them better musicians and people, and in turn, contributed some gorgeous music,” said director Brian Reeves. This tradition has been going on for many years now and because of that, it makes the experience for these seniors even better. Senior Mike Darbinyan started choir his freshman year and has stuck with it ever since. “[When I was younger,] it was fun to see the seniors have a little moment for themselves and celebrate their journey in choir and in high school. At the time, being a senior and having a last concert seemed like something very far away, but here we are,” said Darbinyan. At the concert, each senior will be honored for all the hard work and dedicated that they have brought to the choir department. “This concert will probably be one of the hardest and emotional events I will be a part of this year. 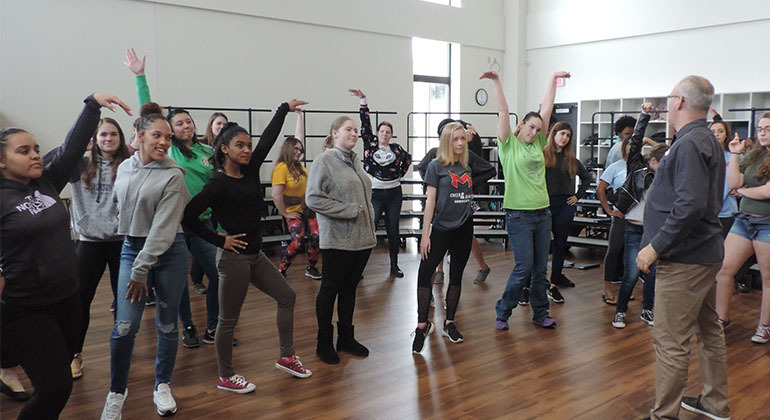 Choir for many of us seniors has been a huge part of our public school career since 6th grade, and seeing us all grow up is going to be hard but heartwarming as well,” said senior Maddie James. This year’s program will include the songs “Opening Up”, “Middle”, “Freedom Train”, and “Like an Eagle”. “Singing ‘Like an eagle’ makes being a senior in choir very special and let’s us all have a moment to remember and celebrate. It is something we have all sung for the past few years for the seniors above us, but now it is our time to be sung to and that makes it an even better experience and a cool thing to celebrate,” said Darbinyan. Friends and family will pack the stands to support these students who have given their all to North’s choir department. This choir tradition is definitely one of the deepest Parkway North has, and it will be an amazing night for all who attend.